One of the best things about riding a bike around town is getting to check out other people's bikes (let's call it OPB, yeah, you know me). 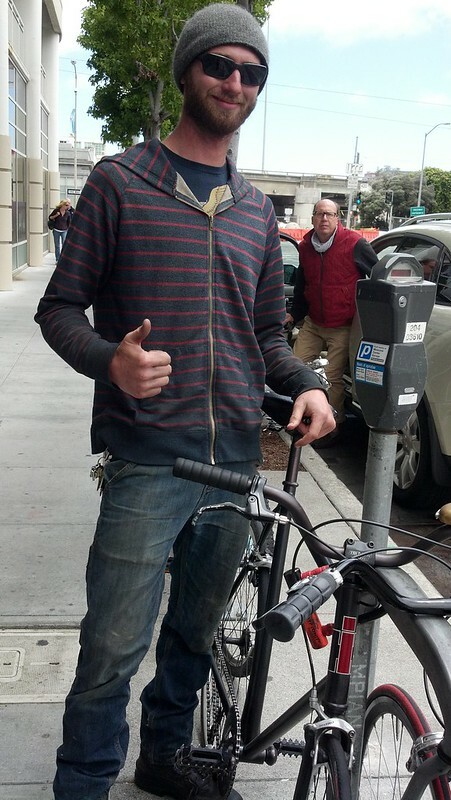 I met Zack in front of Whole Foods in SoMa last week. 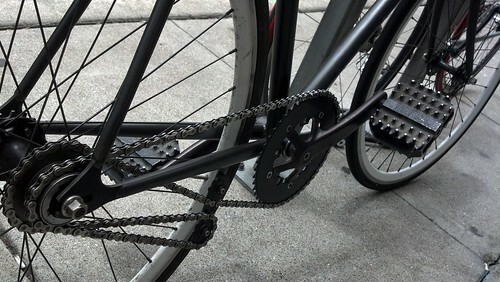 Here's his cool bike. There's a special name for this kind of bike. He said you can pedal backwards and forwards to go. I can't remember the name anymore. I just remember Zack. 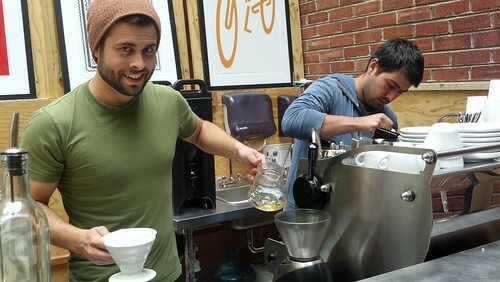 And then I went for un cafecito served by Gabe. 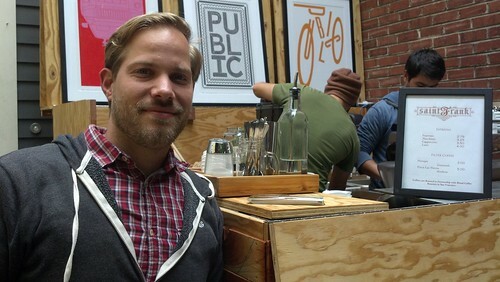 If you haven't heard, Saint Frank is a new pop-up coffee bar at the PUBLIC Bikes shop in South Park. This is Kevin, the owner. 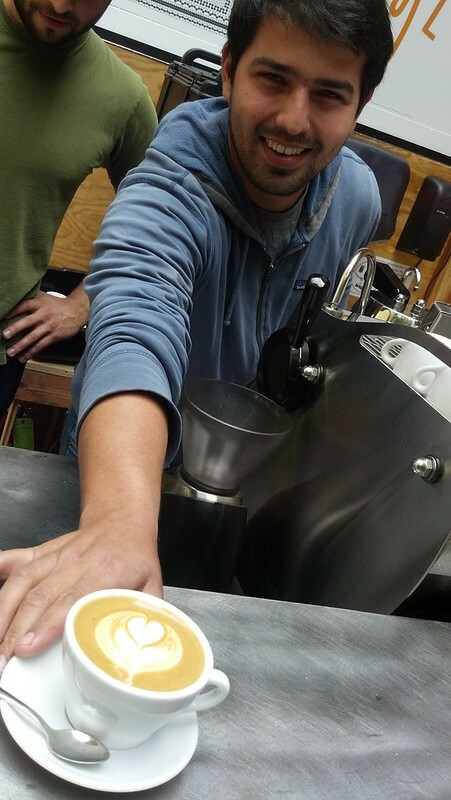 Benjamin makes a mean cappuccino. First time customers get a free cuppa.